In order to promote sustainable mobility, one needs to look at alternative sources of energy and fuel. The day is not far when, fossil fuels would have run their course and leave the vehicles of the world to run on electricity. This is where Ather Energy comes in. A start-up, which was backed by Flipkart, who invested a princely sum of USD 1 million in this company, which aims at manufacturing smart, electric scooters. 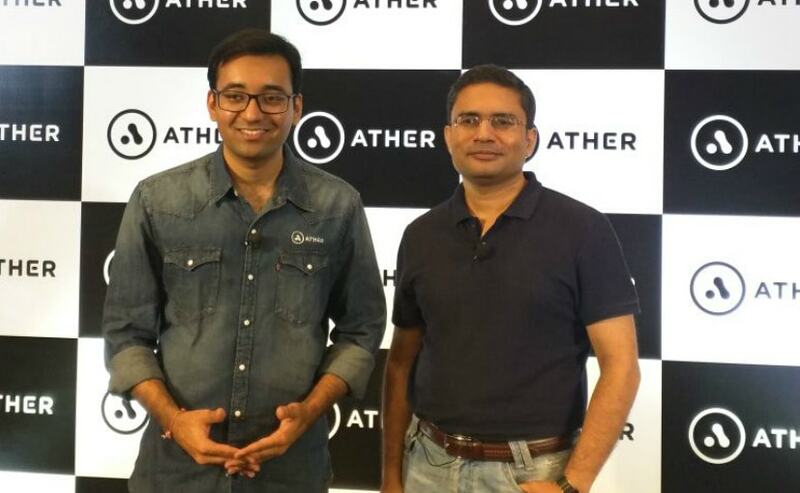 Ather Energy is the brainchild of IIT Madras graduates Tarun Mehta and Swapnil Jain, who started working together in 2013, with singular focus on the adoption of electric vehicles in the country. The Hero MotoCorp Board has approved an investment of ₹ 205 Crore in a couple of tranches with a view to hold approximately 26 per cent-30 per cent of shares in Ather Energy Pvt Ltd. Hero terms this as strategic investment. The investment, of course, will be subject to the carrying out of agreements and completion of pre-set conditions from Ather Energy. The investment will be used to focus on product design and strategy. Tarun Mehta, CEO and co-founder, Ather Energy Pvt. Ltd. said, "The funding is a strong validation of our product roadmap and technological capability, endorsed by one of the biggest global automotive players. We believe smart, connected electric vehicles are the future and India will be an important global player in it. Our vision is to fast forward to that future and this investment will help us leapfrog several years of automotive experience." He also added that there will be no change in the product portfolio, the way of working and the distribution strategy with Hero on board. In its letter to the listing department of the National Stock Exchange, Hero MotoCorp has clearly mentioned that the adoption of environment friendly fuel is a priority for the company along with sustainable manufacturing practices as well. Hero MotoCorp outlined that it wants to enhance its participation in the EV space by pursuing its internal EV program and also partnering with Ather Enegy. Last year in May, Ather Energy received a funding of USD 12 million from Tiger Global, which was used in research and development of the Ather S340, the first electric scooter to have been completely designed and developed in India. The prototypes are already ready and get a lithium-ion battery pack, lightweight aluminium frame, digital dashboard and have a top speed of 75 km/h. The S340 is now in its final stages of testing. Ather Energy will commission a plant having an initial capacity of 10,000 units and scale up as demand grows to 30,000 units.